Sometimes we want to rip our commercial DVDs to our computer to edit DVD in Adobe Premiere Pro, but we will find nothing when we try to import a DVD into Adobe Premiere Pro. What’s wrong? Follow this guide to solve Adobe Premiere DVD issue easily, free download the software below to start the tutorial. Want to Solve Adobe Premiere DVD Playback Issues? Q: I currently have Adobe Media Premiere. I have a number of family DVDs that I would like to convert each to a single digital file for online storage. All these DVDs have menus. If possible, I like the menu part to also be converted -- I know it will not be interactive but its presence will show what all is there. I know that I can convert individual VOB files to MP4. Question 1: Is it possible to convert all video VTS*.VOB files (preferably with the menu) into a single MP4? Question 2: If the above is not possible, is there an option in Premiere to merge the resulting MP4 files into a single file? Question 3: If the above approach is not optimal, what is the best way to convert DVD files into a single digital file (with or without the menu part). A: This is a question from the Adobe Forum. In fact, Premiere Pro can only handle VOB files without copy protection. Next, I will show you how to deal with the Adobe Premiere Pro DVD playback issue. WonderFox DVD Ripper Pro allows us to copy DVD to VIDEO_TS folder or digital video files including MP4, AVI, MKV, MOV, MPG, etc. VOB files in the VIDEO_TS folder thereby can be played or converted on kinds of devices directly. Just have a try! 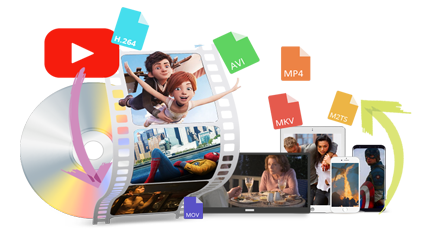 In order to import DVD to Premiere Pro, first of all, we should copy DVD disc to digital video formats supported by Adobe Premiere Pro like MP4, MPEG, MPE, MPG (MPEG-1, MPEG-2), M2V (DVD-compliant MPEG-2), MTS (AVCHD), MOV, FLV, AVI. WonderFox DVD Ripper Pro can copy DVD to Video_TS folder or digital video formats with 1:1 flawless output file preserved. with the advanced DVD decrypting technology, this leading DVD Ripper can remove DVD CSS, Region Code, Multi-angle, Disney X-Project DRM and other advanced copy protections. Now, free downloadfree download this wonderful DVD ripping tool to get started. 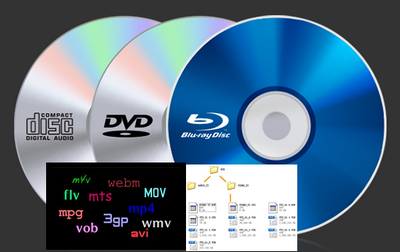 Next, our tutorial will convert DVD to MP4 for import into Adobe Premiere and do some editing. Load source DVD into DVD drive. Free downloadFree download, install and launch WonderFox DVD Ripper Pro on PC. Click on DVD Disc to load your DVD movies. The software will recognize titles to select the Main Movie. Choose MP4 to your target format. If you have further demands, you can adjust video resolution, bit rate, aspect ratio and so on by pressing “Settings” button. Select PC location where you want to save the converted MP4 files. Finally, hit RUN button to start the conversion process. Tips: For those who want to convert DVD to Video_TS Folder, you need to select DVD Folder under 1:1 Quick Copy. Congratulations! Once the conversion is complete, you will successfully rip the DVD movie to an Adobe Premiere Pro file. Now, import the new created file into your Adobe Premiere Pro software for editing. WonderFox never advocates any illegal exploitation of DVDs, please ensure that your actions are legal in your country. In addition, ripped videos cannot be used for any commercial activities. Can Adobe rip DVD? Of course not, Adobe Premiere Pro can handle VOB files in Video_TS Folder without copy protection. As for Adobe Premiere to DVD, it actually means creating a DVD with Adobe Premiere Pro CC. Finally, I hope your Adobe Premiere DVD issues will be resolved after reading this article. 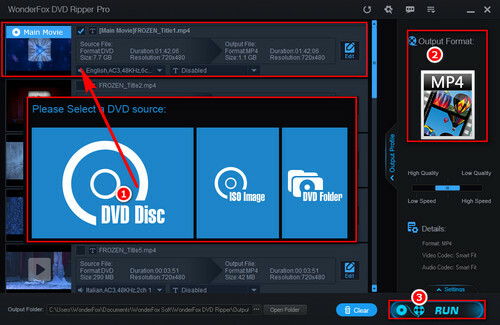 Want to import your DVD collection and local files into Adobe Premiere? Then you should first convert these files into Adobe Premiere supported formats such as MPEG-2, MOV, WMV, etc. Download this super powerful software now to experience it.